We are proud to be able to tell you that we now have an official featured charity; Body Gossip! Body Gossip (BG) campaigns through Arts and Education to empower every body to be the best version of themselves and rock their own brand of gorgeous, and we at the self-esTEEm campaign are proud to say that we will be donating 10% of our profits to this wonderful confidence boosting team. A massive THANK YOU to Ruth Rogers of BG who has spent time chatting with Holly to discuss t-shirts, ideas and possibilities, both via email and in person at her fantastic new cafe The Canvas, at which you are encouraged to draw on the walls (how cool is that?!? 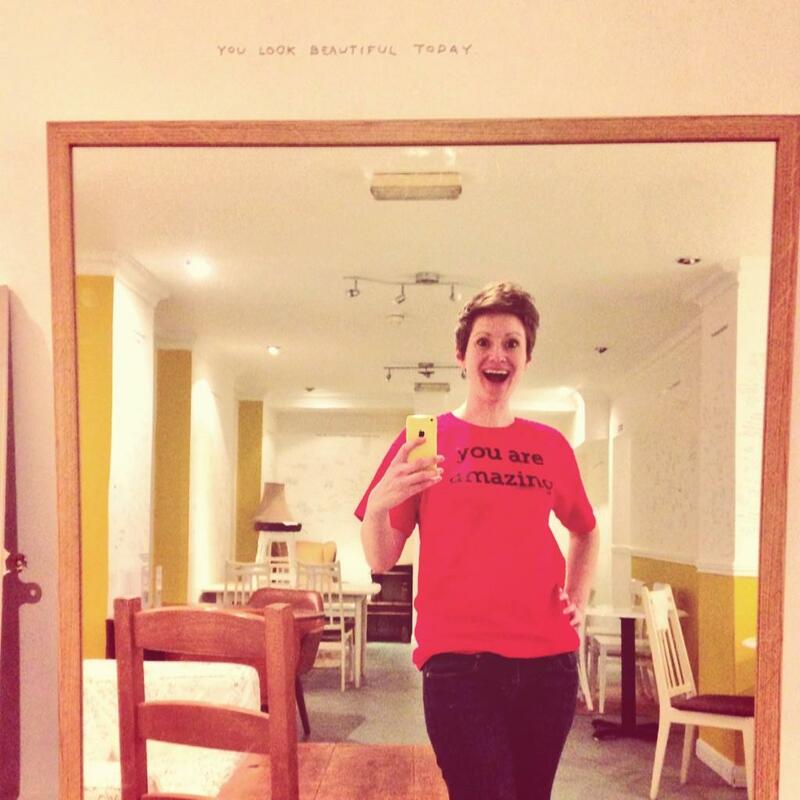 ), and another thank you is due to Ruth for so wonderfully sporting one of our t-shirts. We will be adding more about the amazing Body Gossip team soon, so keep your eyes peeled! This entry was posted in Info and tagged Arts and Education, Body, Body Gossip, self-esteem on December 5, 2014 by HSP.